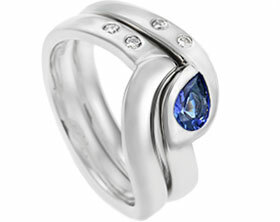 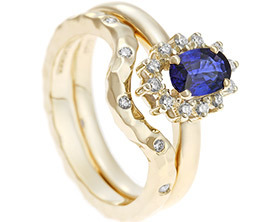 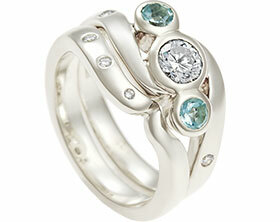 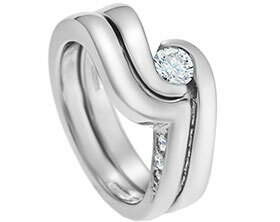 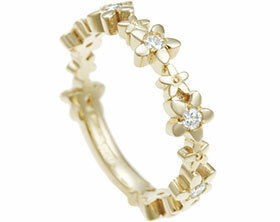 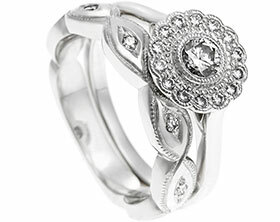 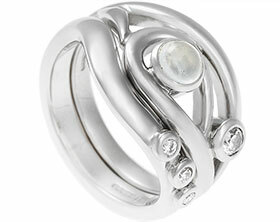 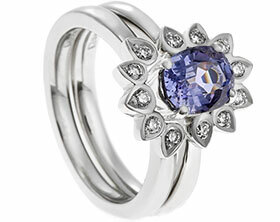 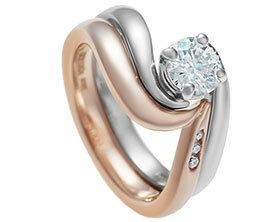 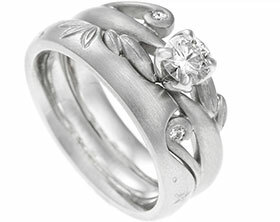 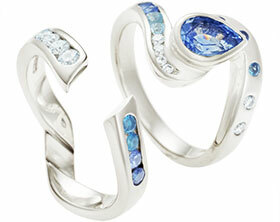 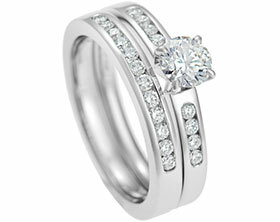 Sam wanted a wedding ring to complement her exisitng engagement ring. 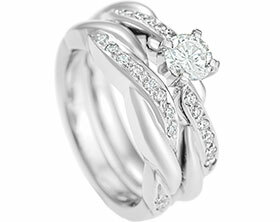 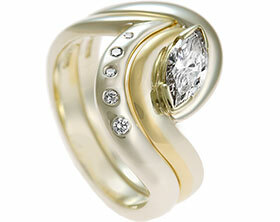 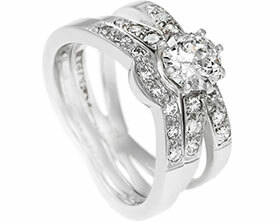 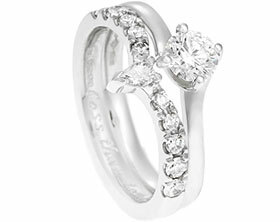 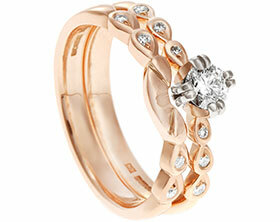 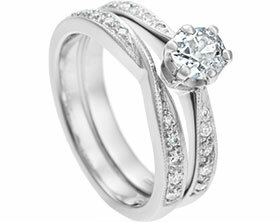 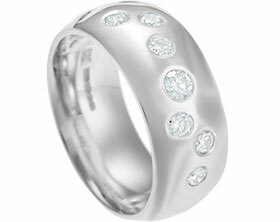 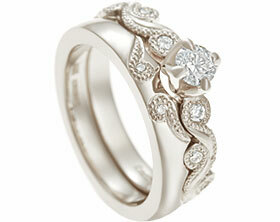 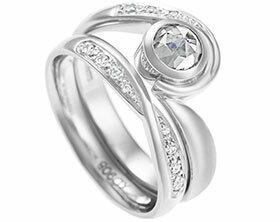 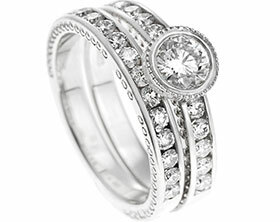 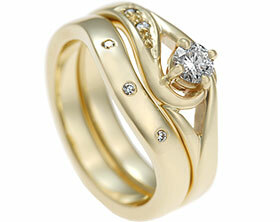 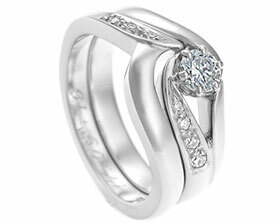 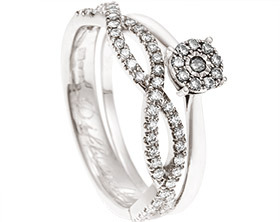 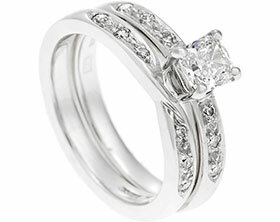 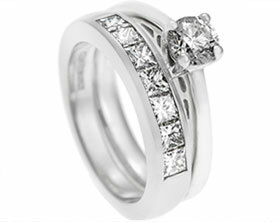 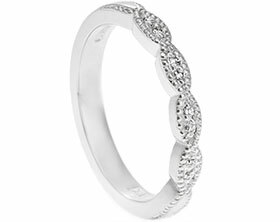 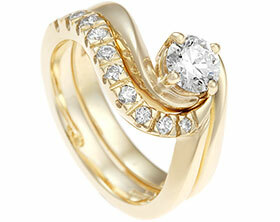 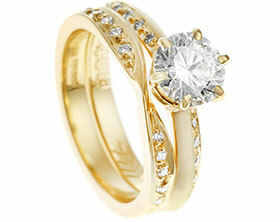 We designed this to design a sparkly pave set wedding ring with five 1.75mm brilliant cut HSI diamonds. 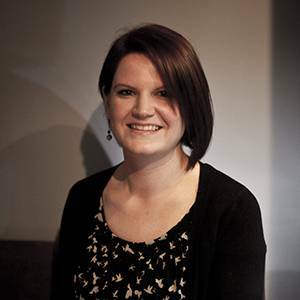 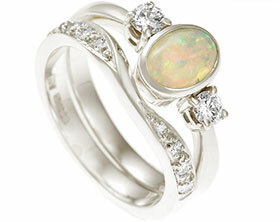 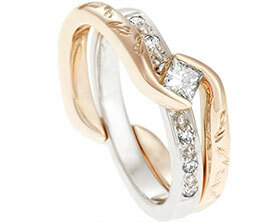 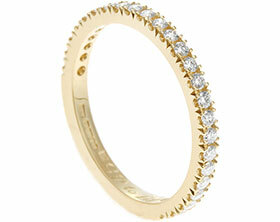 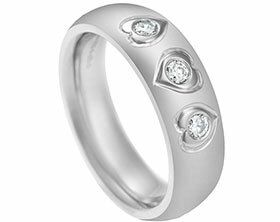 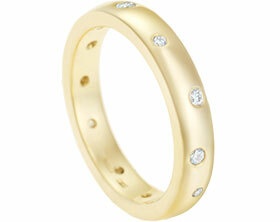 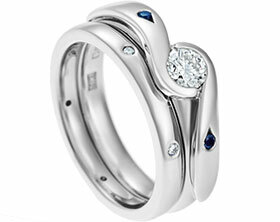 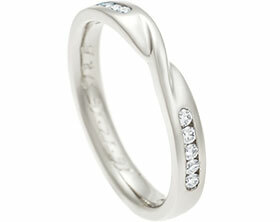 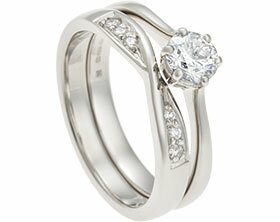 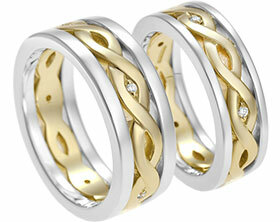 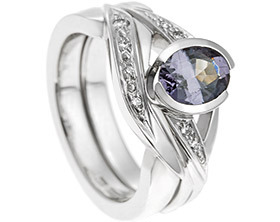 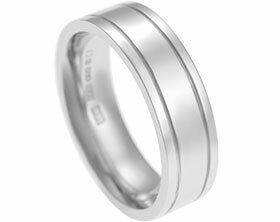 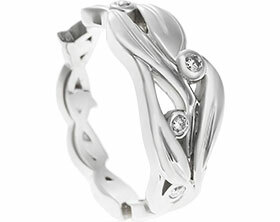 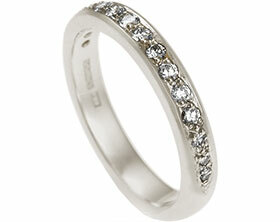 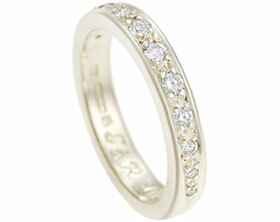 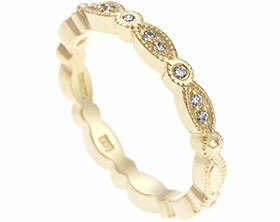 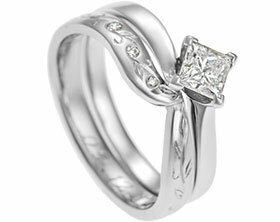 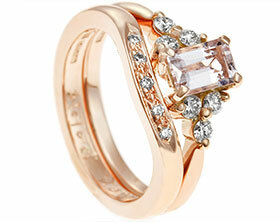 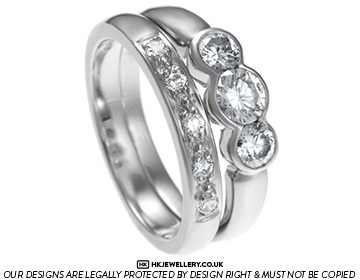 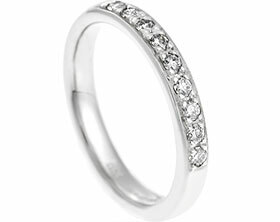 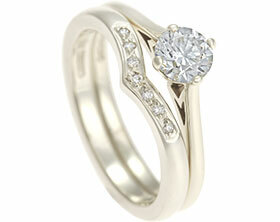 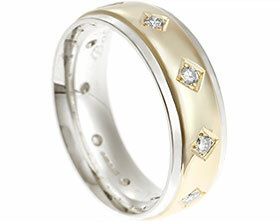 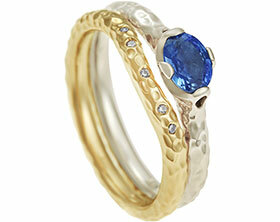 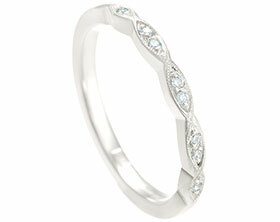 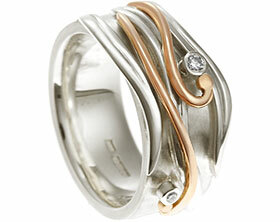 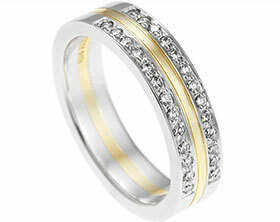 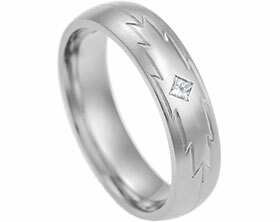 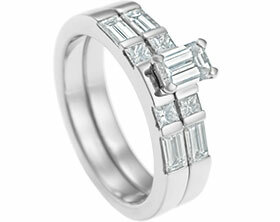 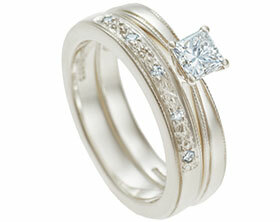 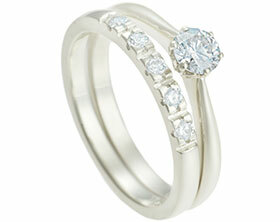 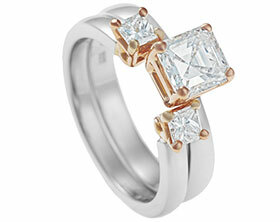 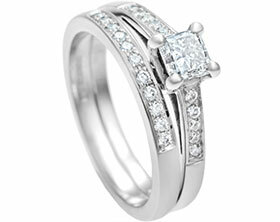 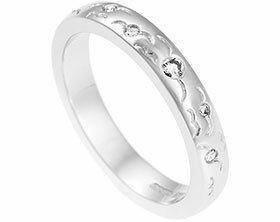 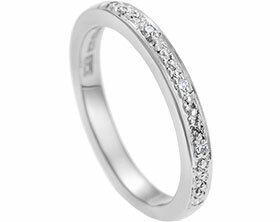 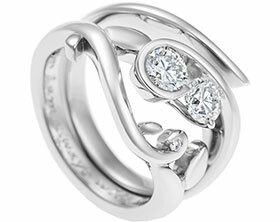 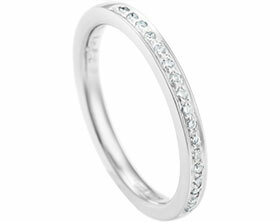 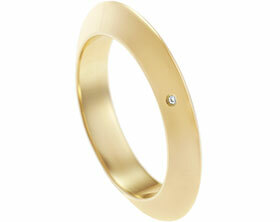 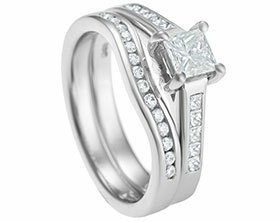 The band is 3mm wide with a gentle D-shaped profile and a polished finish to match her beautiful engagement ring.